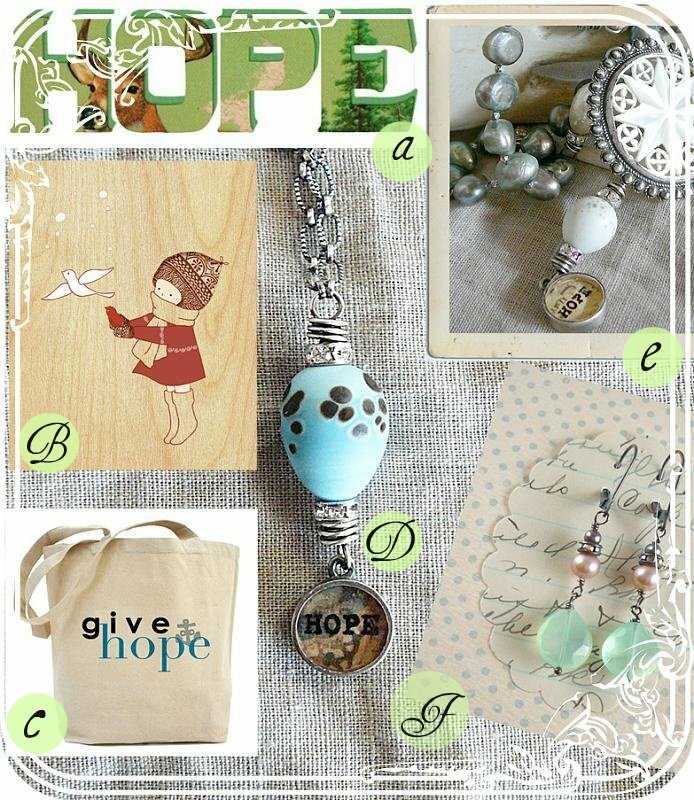 I think that the #1 reason hope is a recurring 'theme' right now is because so many are discouraged due to the economy. None are without impact even in the smallest way. You may have kept your job but perhaps your neighbor is absolutely depressed because he lost his and this impacts you because your interactions in the hallway with him aren't positive anymore. He was always in such a good mood. Now he is quiet and down. This affects you, every interaction has some mark on our day I believe, whether positive or negative. I have been reading a lot of blogs and boards on various websites and many are complaining, upset, fearful, even downright angry over their situation, how the economy is or may affect their business, etc. I want to encourage you to be hopeful and focused if you are not feeling so hot right now. Keep working towards your goals and the future that you want for yourself and your family. One thing my parents always taught me through their actions was to keep my eyes on the ball. No matter what distraction may come it's good to keep looking ahead and to not waver or to use your energy to focus on the negative. 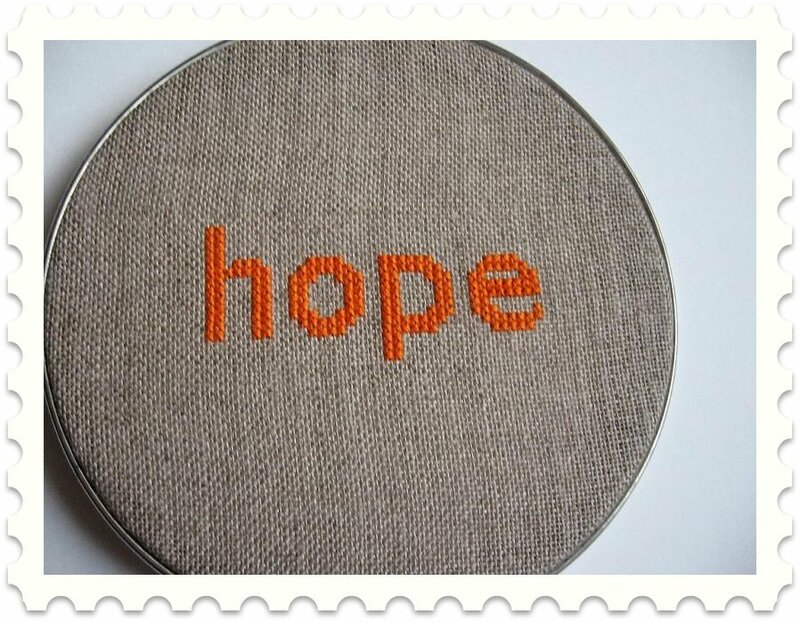 Hope is something that can help keep you positive, grounded, and forward moving. So many things in our life that we fear never pan out anyway, so it's a waste of time to stress over what we have no control over. Right? 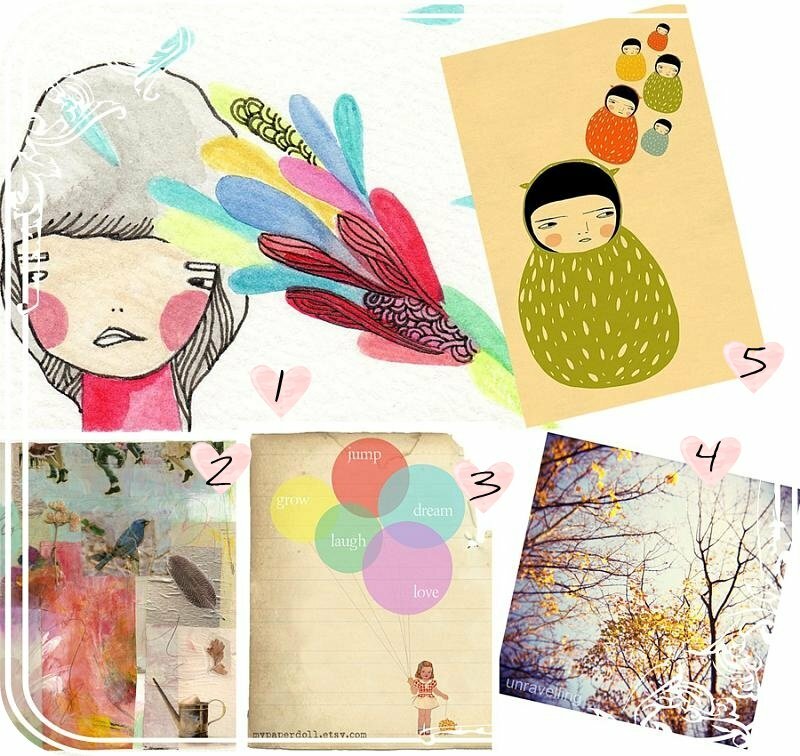 Do you like winter? I'm a girl who once disliked it very much but now snow, a warm fire, and the magical feeling that this season brings is one I look forward to now. I love this period of rest, when nature goes inward, bears huddle in their dens (imagine little Zzzz's over their furry heads and full tummies), and trees become glistening ice sculptures. December, especially the last two weeks of the year, is one my favorite times of the year because it forces everyone to reflect, slow down a little, and those final weeks gives me this great big feeling of hope for what may come in the year ahead. I think it's time we all pause and reflect on this, don't you agree? Remember that it's our time to strengthen, renew, hope, and look ahead. Remember that things always get worse before they get better but they DO eventually get better. In the process we can become stronger in our core through endurance and also by being positive and allowing it to bring out good qualities in ourselves and others. We all need hope but only when we have the courage to do positive things can we turn hopes into reality. So what are you hoping to do in 2009? What do you H O P E for? 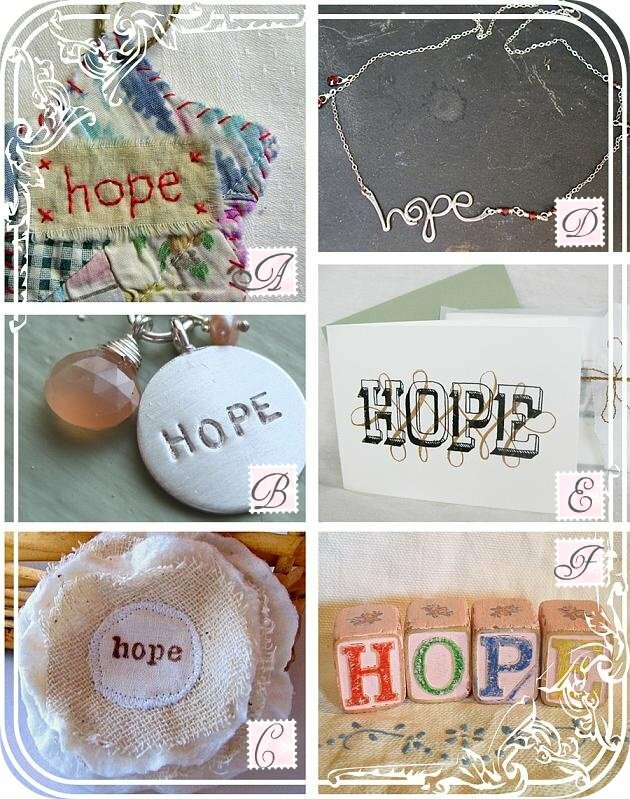 Have you found any products or projects on the web that relate to hope in some way and do you find them inspiring? What have you found (feel free to place your links in the comments section below. If your links are long, please use tinyurl.com).